Both Mars and Venus can be terra-formed to provide Earth-like gravity and atmospheres; Venus with an effort of about 100 years to terra-form the atmosphere, and Mars with an effort of about 2,000 years to terra-form the atmosphere. These are both potentially realized through the use of systems of solar sails. Asteroids provide many of the resources needed to seed related development. Mars has 38% of the gravity of Earth and will never be able to support the atmospheric pressure needed to sustain human life without pressurized suits. The current atmosphere on Mars is like living at 125,000 feet above sea level here on Earth and has very limited resources in the atmosphere. The Sun continues to whisk away the atmosphere, and there is no protection from ionizing radiation. On Mars we will be required to live in pressurized caverns and bio-spheres to sustain life. So why not just live in ventilated caverns here on Earth? Mars is needed as an absolute necessity to test Space Elevator deployment before deploying a space elevator from space. The following details a potential deployment methodology that is ecosystem friendly, provides for recycling precious resources, and provides low-cost interplanetary transport. The on-going Venus missions can remain in space and use the space-built harvesting of resources to provide sustainable life-long enterprise in space for hundreds of thousands of people. People who provide services and resource processing over the 100 years of terra-forming Venus, and the 2,000 years needed for terra-forming Mars. Provided the total system proposed, billions of people will support diverse industries related to the terra-forming of Venus, then Mars, then … the building of other planets. There are methods that can be developed to fraction larger planets into smaller planets, so that our solar system can potentially sustain 10 or more Earth-like planets in our Solar system. All without using fossil fuels for propulsion. Hydrogen, carbon, oxygen, methane, and other hydrocarbons used and converted to support diversity of life instead of wasted dilution as fuel byproducts lost and polluting space. Pollutants that cause frictional drag when a spacecraft impacts the pollutants and causing a change in course of spacecraft and asteroids and the needed extra fuel to compensate, and more fuel pollutants causing more expenditure of fuel. Venus can have its’ atmosphere terra-formed from space. 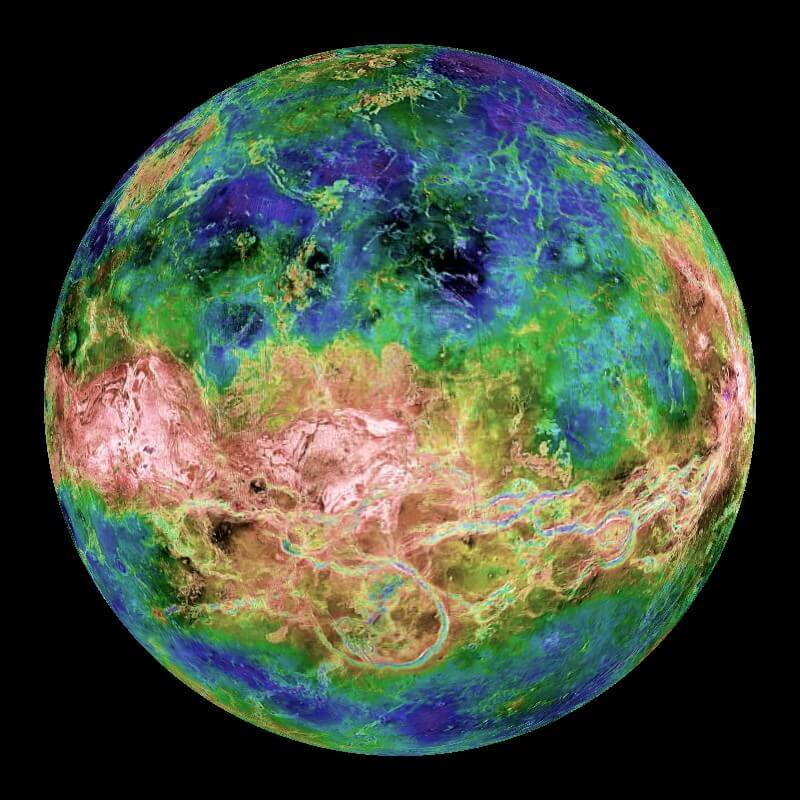 The same technology to terra-form the Venus atmosphere creates both active Weather Control for Venus and Earth. The same structures can be used for solar sails to transfer people and resources between the inner planets and provide maintenance transport. The same systems can help provide for terra-watts of solar energy based utilities. All without fossil fuels. Currently the atmosphere of Venus is very hot at the surface (molten lead temperatures), is poisonous to humans, and has a surface pressure about 90 times that of Earth. This can ALL feasibly be terra-formed to Earth-like conditions from space. By creating large systems of solar sails, these solar energy based transports use large rotating sails that can also be used as “shade structures”. By positioning the shade structures between the Sun and Venus in elliptical orbits, this cools the atmosphere. As cooling continues, condensing vapors rain down upon the planet surface and related chemical interactions create systems of molecules on the surface. These systems of molecules if strategically manipulated, provide the eventual materials to support vegetation and microbial life. Through pervasive influence, an Earth-like ecosystem is produced. Being able to terra-form from space is desirable because of the costs and dangers related to transport to and from the surface. Catalysts and energy differentials of the Venus atmosphere at different phases while cooling can convert the CO2 to oxygen and hydrocarbons. The atmospheres of both Mars and Venus are 97% CO2, but Venus has more atmospheric components to sustain catalyst based conversions. The conversion and cooling processes lower the atmosphere pressures to designed final pressures and related atmospheric chemical distributions. There are better systems, but these just support an example. Terra-forming Venus does not mean that Mars is not an important initial pathway to start terra-forming planetoids. Mars is critical for testing the viability of deploying Space Elevators. Mars has an atmosphere (thin) and significant gravity (but much less than Earth) that can be used to test the stresses and predicted nature of all parts to attain a stable space deployed space elevator. Until the Space Elevator deployed from space is tested on Mars, absolutely no one on Earth should want an asteroid steered anywhere near close to Earth. Mars has the potential of having rich ore deposits and mineral compounds that do not exist here on Earth. For processing that needs gravity to facilitate processes, Mars may provide a unique environment in that region of space to support processing and manufacturing. But as yet, there are no fuels available on Mars to get off the planet. The depletion of Earth’s resources are presently necessary to be able to escape the Mars gravity to return to Earth. The mining of the Moons of Saturn and Jupiter during the process of merging them with Mars is facilitated by producing space deployed Space Elevators. Nano-tube cables produced in space that are attached between two shaped and sized asteroids. The system is precisely rotated on a controlled trajectory so that one asteroid is controllably lowered to anchor the space elevator tether. A cable climbing tractor then controllably raises and lowers materials to and from planetoids. The building of space elevators using this process may become the initial main industry for early missions. The combination of a planet that has numerous space elevators (every country; or shared by several small countries) and the low-cost solar sail structures described, provides an inexpensive means for almost any country to carry-on interplanetary space-based commerce. To prevent contributing to, or otherwise disturbing the natural wobble of the Earth over long periods, the positioning of space elevators needs to be logically determined in advance. As economic systems change, small countries not previously thought to have the potential to engage in a space-based economy may purchase a space elevator. To prevent global ecological destruction of micro-ecosystems (diversity of life that contributes to overall resistance to pervasive pathogens), a balancing in support of our stable wobble must consider potentially positioning space elevators in locations not intended to be used, to position a space elevator where it is desired. A slightly different version of the space elevator provides a means of delivering and extracting large masses from Earth’s gravity. In largely the same manner that a space elevator is created using the Bola method of deploying space elevators, large amounts of mass can both be deposited and extracted without the use of fossil fuels. A heavier built carbon nano-tube cable delivers an ore-rich asteroid to Earth as an anchor. The tether is transferred from the anchor to the payload to be extracted from Earth. The near-orbit tethered mass in space has a latching/hinge mechanism where another carbon nano-tube cable that extends out into space at some angle from tangent to the Earth’s atmosphere to a far-orbit mass with twice the total mass of both the near-orbit tethered mass and anchor. At the mid-point between the far-orbit and near-orbit tethered masses, is a latch/hinge structure that a larger asteroid attaches to and pulls with increasing velocity (not sudden stresses) both the anchor payload and far-orbit masses along a trajectory out toward a delivery destination. The mid-point attached acceleration method is necessary to prevent catastrophic failure forces from building up during the extraction process. This method of using asteroids and solar sail structures provides for low-cost interplanetary commerce. Extending commerce to the resources of the Kuiper Belt. The Kuiper Belt has significant volitile gas resources. Volitile elements are frozen. There are vast resources of water and hydrocarbons to use for terra-forming Venus, Mars and other planets that we build. There is presently 20 to 200 times as much known mass in the Kuiper Belt as there is in the Asteroid Belt. These resources provide elements needed to support biological life. Another reason for providing a presence in the Kuiper Belt is to detect masses on a trajectory toward Earth. We want masses to be on a trajectory that spirals into Earth’s orbit around the Sun so we can harvest resources, not tangent to Earth’s orbit where an impact causes potential global extinction from impact on Earth. The Kuiper Belt is expansive. By having a presence we can not just detect impending events, we can cultivate them into beneficial mining outcomes. Automated systems of solar sails can systematically guide thousands of objects on trajectories that will eventually form an orbit around the Sun between Venus and Earth. However, because of the reduced photon pressures from the Sun the time needed is much longer. But, tend to stop the orbit of anything around the Sun and it will start moving toward the Sun. The timing and trajectory within the complex gravitational fields of the solar system scheduled so that the trajectory and orbit entered never intersects Earth’s orbit around the Sun. Materials stored in its own orbit around the Sun between Venus and Earth. Accelerate the orbit to deliver it to Earth, slow the orbit to deliver it to Venus. 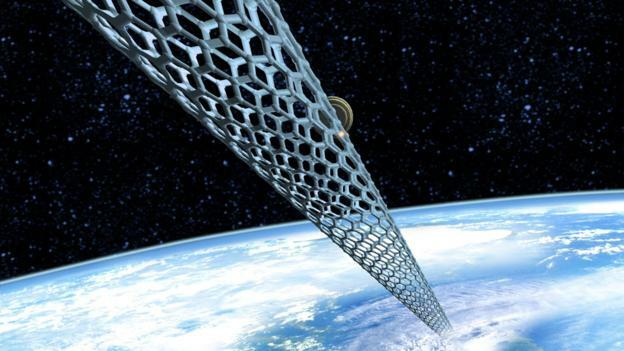 Space Elevator strands are quite small for human eye detection at a distance. The extreme hazards for flight safety and related economic upheaval related to space-based trade, must be taken into account and planned for in advance. Terrorists, either from intellectually deprived puppets of economic aggressors (undeclared economic coalitions that instigate destruction for self-serving purposes), or countries at war in dispute of access to natural resources, the danger is that a single person has the capacity to disrupt an entire nations primary source of economic sovereignty. See http://eliminate-all-corruption.pbworks.com to see how global society can both Maximize Freedoms and at the same time Maximize Security, not having to sacrifice one to have the other. To include providing an environment to maximize economic development globally. Realize that all science and technology based products are transitory; they only exist until something better comes along. Doors based upon latches and hinges have largely gone unchanged for many thousands of years. But with the potential tools of space-time manipulation at our near-future door step, the potential is that housing and doors may take on a form that is an entirely different form of technology; will producing living environments where doors and housing are not like anything we can presently reference physically. Perhaps a living space directly accessible without having to physically travel from anywhere. Transportation similarly may become unnecessary as physical movements evolve with other technological capabilities. These changes in technology largely motivate the directions we choose to socially participate with others (money) to support development of related technologies. Money is a social tool that provides the ability to efficiently connect resources and opportunities to act toward diverse pathways of development. Evolving along a broadly sustainable pathway toward a set of desirable outcomes, the social processes incrementally change and use technology to generate the related economic processes; i.e. interconnected loops of cash flows. For most, this is the primary importance of ethics, to broadly promote a sharing of resources and opportunities that overall deliver vast systems of mutually beneficial outcomes; global economic and time pervasive prosperity. This is the common short-sighted purpose of ethical consideration. The longer-sighted purpose is to “Broadly promote the diversity of life”; only through diversity does plague-like conditions meet local barriers to prevent broad destruction (extinction events). Space Elevators provide the opportunities to both create sustainable environments for humans, but also other species. If we focus upon creating environments just for human habitats, then a plague in the form of economic depression, biological virus, genetically evolved sterility .… will eventually cause the extinction of humans; in the not so distant future. If we ourselves desire to survive, and/or evolve, then required is that the environments we create are also broadly diverse to include every known form of life that has its’ boundaries limited by resources and synergy with other diverse forms of life. Mars can be terra-formed to become an Earth-like eco-system, but it takes a more involved effort. With Earth’s present atmospheric components, the pressure on Mars would be too sparse to both prevent ionized losses of water introduced, and provide the pressures needed by humans to survive without a pressurized suit. By maneuvering three of the largest Moons of Jupiter (Ganymede, Europa, and Calisto) to merge with Mars on specific trajectories that incrementally bring Mars to a new sustainable orbit around the Sun, enough mass can be added to Mars to provide an atmospheric pressure needed to sustainably support human life and the related ecosystems. Moving Moons sounds far fetched, but the continuous force applied by solar sails to precisely cause a track through the gravity distributions imposed on the Moons, and not just the dominant influences (a form of finite element analysis), provides a practical method by which the Moons can be accelerated along intentional trajectories over long periods of time. The Moons due to the gravitational fluctuations of Jupiter have sufficient friction to produce heat; and water is present. Therefore it is possible that life may be present. If so than this form of terra-forming is not ethically plausible because the evolution of those life forms and their potential future will be extinguished by the act of merging the Moon with Mars. There are other related ethical issues to consider. Planetary bodies are considered sacred by many cultures, and the ethics related to inhabiting those planetary bodies is an ethical issue. Merging them becomes an even greater social issue. But given a finding that life does not exist on the Moons, then as mass is merged with Mars and the orbit is changed to reflect a stable new orbit, then the crushing of those large masses together creates heat that must dissipate before providing a habitable environment for life. The act of crushing the last of three Moons, the water-rich Moon, with Mars is to produce an atmosphere. The crushing exposes core materials of all three Moons and Mars. This process will produce a jagged landscape that will produce planetary quakes for millions of years. By reversing the process the non-uniform gravity of Jupiter can be used to accelerate the process of annealing the planetary structures. By moving Mars to orbit Jupiter, as Moons are merged in with Mars the gravitational forces can anneal the merged structures to largely stabilize them before the intentionally unstable orbit casts Mars out toward a new orbit around the Sun. The solar sail systems guiding the path of the now larger Mars to seek a stable orbit. The now larger Mars that is about the same size as Venus will have far less quakes and terra-forming the atmosphere provides the components needed for using catalysts to produce the needed balances in atmospheric and soil components. Needed calculation will need to be done to determine the losses in atmosphere and chemical make-up due to the processes involved and the interaction with Jupiter’s annealing gravity influences. All of the incremental gravitational interactions of all solar system gravitational and electromagnetic influences will need to be modeled for millions of years so that long term stability is supported during all translations in mass. The total process has continuous opportunities to harvest unique resources to use in support of the business systems needed to support a 2,000 year effort. Sixty generations of people continuously supporting a long term business initiative. Not as attractive as terra-forming Venus, but providing a third largely independent ecosystem within our solar system. With three largely independent ecosystems, three forms of evolution can be promoted to provide diverse outcomes. For example, Mars can evolve technology based evolutionary systems that promote a diversity of life that is uniquely technology interconnected and dependent; technological evolution. Earth can largely remove its technology and dominantly provide support or the evolving of already established ecosystems and related animal and vegetation life; natural evolution. While Venus can support human-centric evolution; building Venus as the resources and imagination provide for the most interesting place for humans to live. While distributed out in space on asteroids, other planets, space stations… is a mix of all parts of the three independent ecosystems. The purpose of which is to sustainably support a maximized diversity of life. The most expensive part of producing products for space based efforts, is the transport between the ground of planetary bodies and space. To deploy space elevators from Earth requires transporting large amounts of materials, and related burning of fossil fuels. To deploy space elevators from space requires a source of carbon (atmosphere of Venus), a heat source (Sun), processing system (relatively small from Earth), and two small asteroids. By shaping and sizing two asteroids and connecting a fully developed nano-tube space elevator tractor cable between them, the two asteroids can incrementally be rotated around one another connected together by the nano-tube cable. The resulting rotating masses are carefully guiding in trajectory and rotation such that the counter rotation of one asteroid end entering the atmosphere slows rotation and gently transitions to the total system into geosynchronous orbit with the planetary body. This business of creating space elevators can deploy space elevators throughout the solar system. Care must be made to deploy mating space elevators balanced across the same hemisphere such that noticeable increasing planet wobble does not occur over long periods of time. NASA is funding an educational initiative to encourage students to engage STEM education. Employment opportunities in rural areas are very sparse. To prepare students for engaging in opportunities accessible through use of the internet, STEM programs are being taught. STEM is an acronym for Science, Technology, Engineering, and Mathematics. More recently the effort has been to produce STEEM, or Science, Technology, Enterprise, Engineering, and Mathematics. The Robotics Mars Yard is in a building with dimensions of 50 feet by 60 feet that intends to house automated system of robots and self-configuring landscape to be used by native American students throughout the United States. Simulators are to be built to allow most students, anywhere globally, to participate in related activities. Coursework already in use by teachers are intended to be modified to provide greater contact time with each student, and at the same time free instructor time so that they have more time to thoughtfully interact with the unique needs of each student. 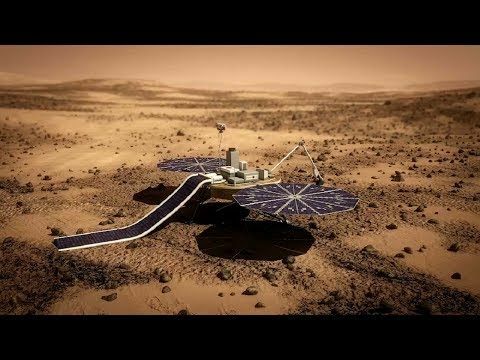 The broad use of the Mars Yard is centered in its user interface, that matches form and function of most programming user interfaces. Students are able to engage programming beginning as early as Elementary School, and use the system throughout Post-Doctoral industry and related research efforts. Developing the ability to engage diverse related technologies, followed by developing the ability to produce market driven enterprise. Contributors include Dr. Nader Vadiee (SIPI.edu), Dr. Larry Crumple (NM Museum Curator), Dr. Zhang (transportation science) … and a host of others. Lifeboat Foundation (LF) at www.lifeboat.com is a non-profit organization dedicated to identifying and developing resources for mitigating mass extinction events. Those in review are currently considered to be existential because of low probability, but more often because of no current practical method of mitigation. NASA recently selected Lifeboat Foundation as a contributor in an upcoming event to help provide insights related to asteroid centered enterprise in space. ALL development requires sustainable business support or the effort never gets off the ground (pun intended), or the effort dies without significant useful outcomes. “Not” listed below are the concepts for business systems of development submitted to Lifeboat Foundation for review and potential inclusion in their managed effort with NASA. This makes for quite interesting reading.